The JEH Quiz is available to NEHA members, providing 1 continuing education credit for a NEHA credential. Quiz deadline is April 1, 2019. NEHA is publishing a three-part series that highlights collaboration and partnerships with the Agency for Toxic Substances and Disease Registry (ATSDR) and redevelopment stakeholders to promote environmental health and land reuse as environmental and public health practices. This series will serve as a guide for identifying new and existing resources that can be adopted at the local environmental health level to safely reuse environmentally impacted land to improve community outcomes. The conclusions in this series are those of the author(s) and do not necessarily represent the official position of the Centers for Disease Control and Prevention and ATSDR. Read and comment on the latest column from NEHA's President, Vince Radke, MPH, RS, CP-FS, DLAAS, CPH. Read and comment on the latest column from NEHA's Executive Director, David Dyjack, DrPH, CIH. Read the latest column from the Centers for Disease Control and Prevention's Environmental Health Services. Interested in purchasing a back issue or cover poster? Past E-Journal issues are available for purchase. NEHA members can access these issues for free. Please visit our online store. 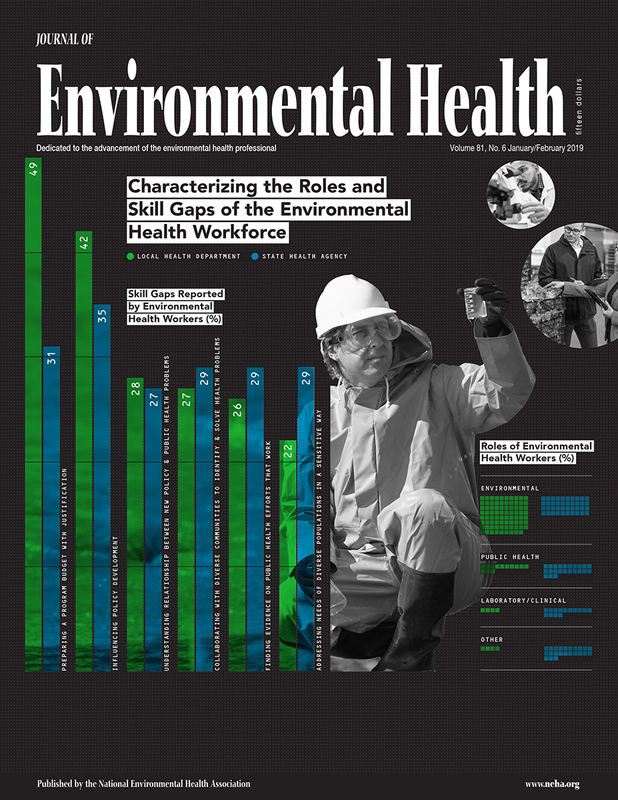 To order a hard copy or cover poster of a back issue of Journal of Environmental Health (JEH), please contact us at jeh@neha.org.